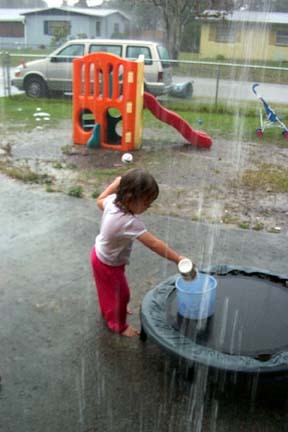 It has been raining for several days here. 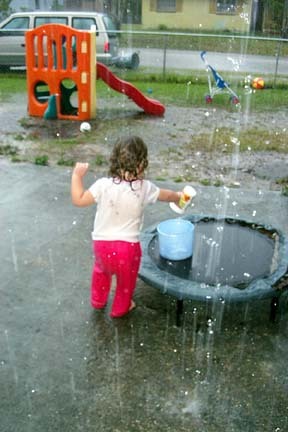 Today it rained very hard for about an hour. 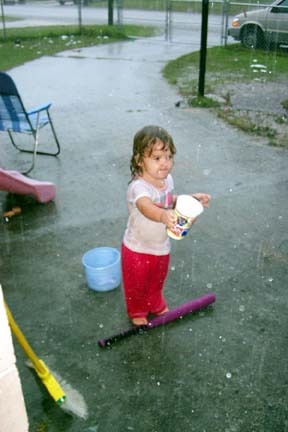 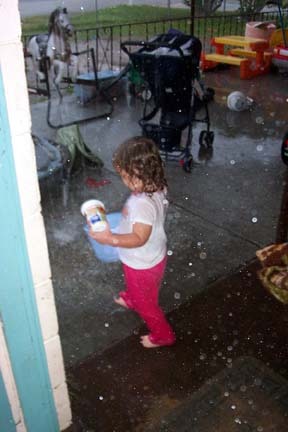 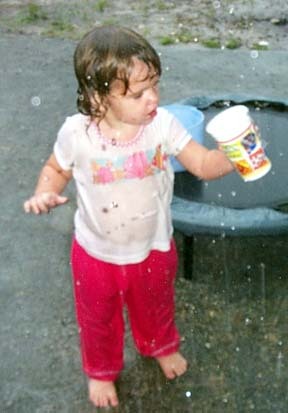 They were saying thunderstorms but I never saw any lightening or heard any thunder so I let Joelle play in the rain. 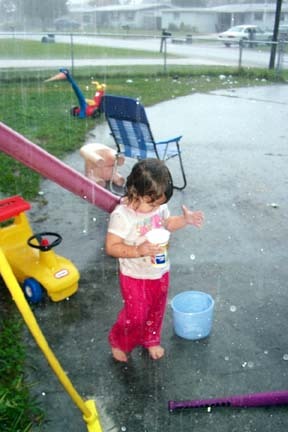 The following pix are her having a blast in todays rain. 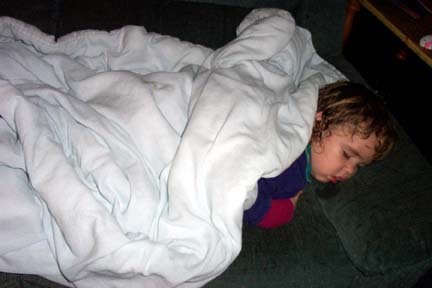 The final pic is after she came in...I dried her off and warmed her up then she crashed on the couch.